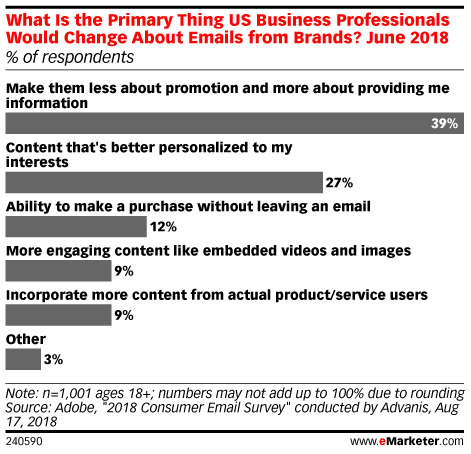 Data is from the August 2018 Adobe "2018 Consumer Email Survey" conducted by Advanis. 1,001 US business professionals ages 18+ who own a smartphone were surveyed online during June 21-27, 2018. Data was not weighted. Data collected was balanced to past year's age and gender proportions.